Nassau County projects its police department could rack up overtime at a cost of $60 million by year's end, leading some critics to wonder if the system is working efficiently and if police officers and public safety are being put at risk. According to a report compiled by the county's Office of Management and Budget, police have already clocked in 275,083 hours of overtime -- that's 68,404 hours more than the same time last year, when they had 206,679 hours of overtime. While the county budgeted $44 million for overtime spending, it is now projecting overtime could actually cost $60 million by year's end. "The number of officers is so reduced that overtime is out of control," said Democratic County legislator Dave Denenberg. "And I think the bottom line is less service right now for our residents." Denenberg blames consolidation, which merged precincts to cut administrative jobs and according to the county, save $20 million a year. "A lot of that overtime is being offset because we are about 150 to 200 people below where we need to be," said First Deputy Commissioner Thomas Krumpter. "So as a result, what's driving our overtime is the shortage of personnel." Krumpter said consolidation did not change the number of patrols on the street and therefore does not affect public safety. But Nassau PBA President Jim Carver thinks that officers are in danger of getting burned out. "You're out there day to day doing a lot of stuff, it's a dangerous job," said Carver. "There comes a time where you're working every single day. You need a day off every now and then." Adding to the problem is recruitment. The starting salary of a Nassau cop is $34,000 but because of an imposed wage freeze in the county, no yearly increases are allowed. "It will be a problem retaining new officers," said Krumpter. 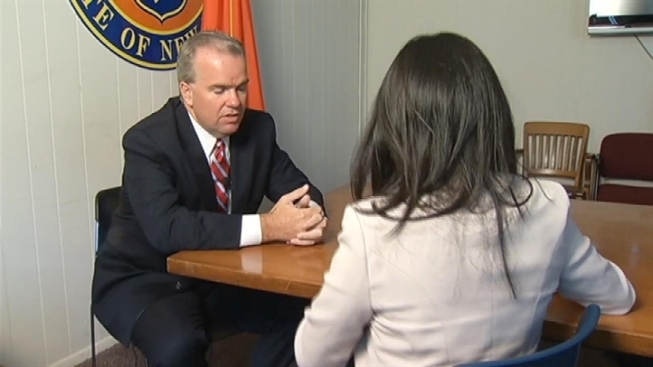 "New officers will be in a position where they are forced to make decisions on if they want to stay here in Nassau County or go somewhere else." The issue is not sitting well with Nassau residents. "I don't know how they manage it, you know, as far as money is concerned and giving out hours," said Theresa Filippelli of Bellmore. Christopher Kowalski of Levittown said: "If I'm paying for that, I want to see more police around the neighborhood, not just overtime." Krumpter said that in the next two and a half years, the department expects 600 to 700 retirements. The police force currently has about 2,200 officers. Nassau County says it's already hired 34 more officers and hope to hire close to 280 people by the start of the next year.